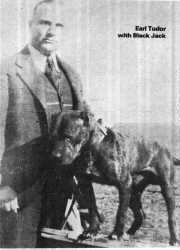 Earl Tudor always named Black Jack as the finest dog he had ever seen. He always won. He was open to whatever was available at any weight. His matches are well substantiated, and everyone whom I ever knew who saw him proclaimed him the best!